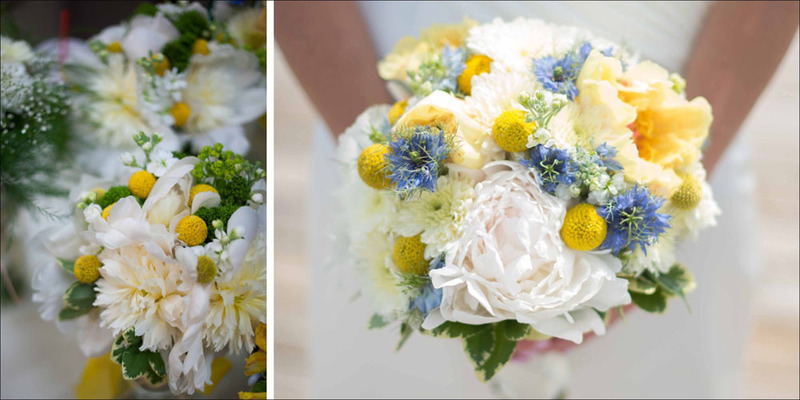 Your wedding bouquet says everything about your style. 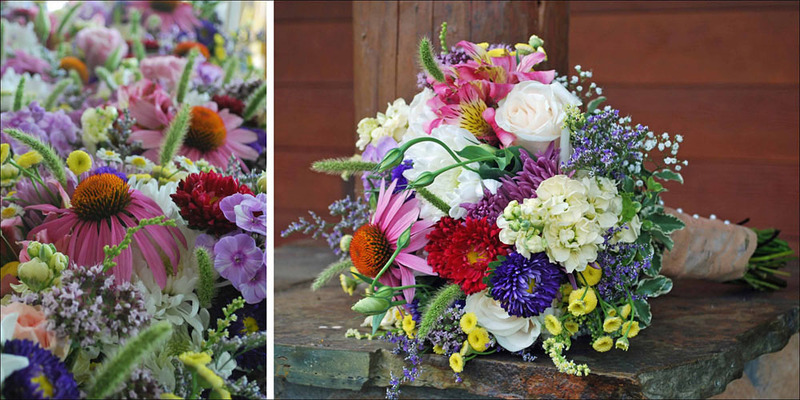 At Flower and Stem bouquets are designed to reflect your style and personality perfectly. 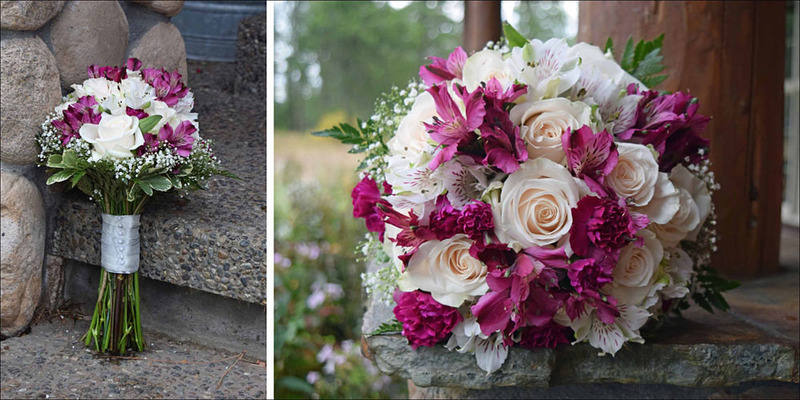 Festive wedding bouquet with free spirit rose, pink peony, dark purple thistle, red madrona, yellow Billy Bobs, white lysianthus, explosion grass, silver dollar, and hosta leaves. 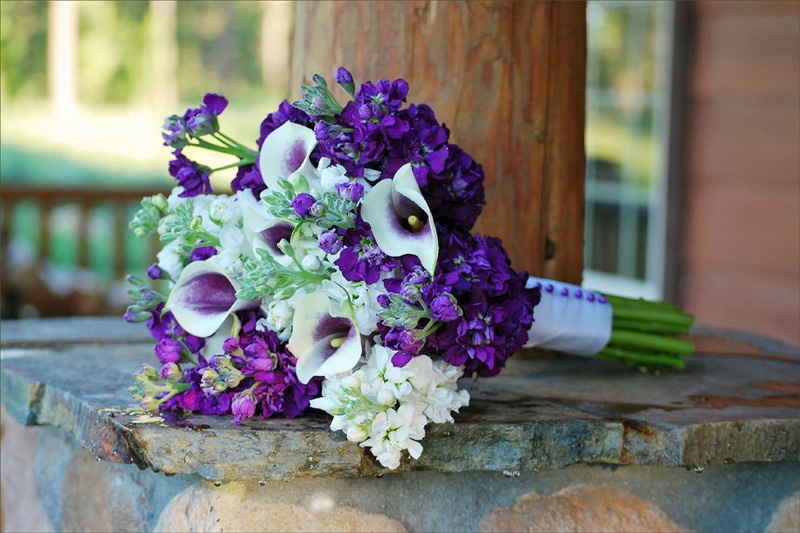 White bridal bouquet with touches of blush, blue, and purple. 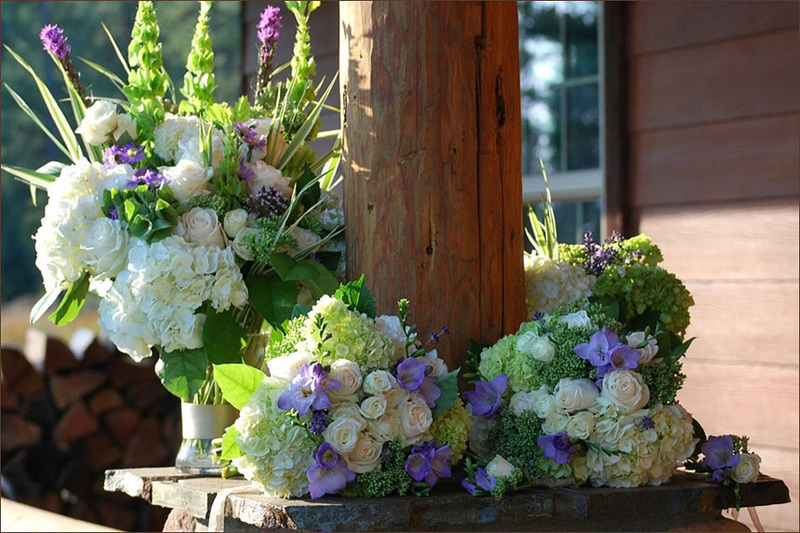 Flowers include white escimo and quicksand rose, blush spray rose, white ranunculus, white lysianthus, thistle, purple wax flower, veronica, seeded eucalyptus and silver dollar eucalyptus. 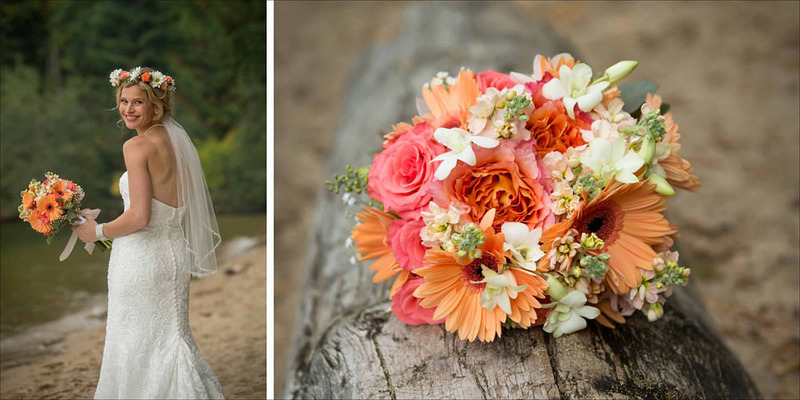 Priest Lake lakeside wedding. 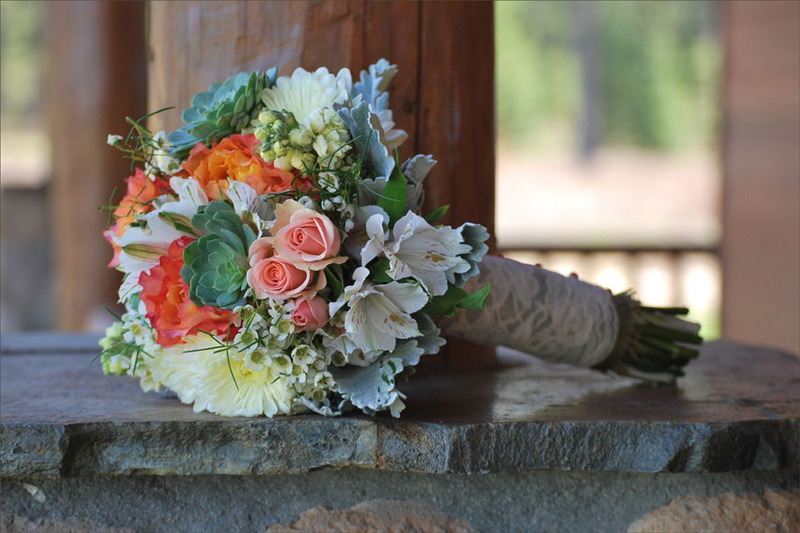 Bouquet flowers of peach gerbera daisy, Amsterdam coral rose, free spirit rose, peach stock, white orchids, and seeded eucalyptus. 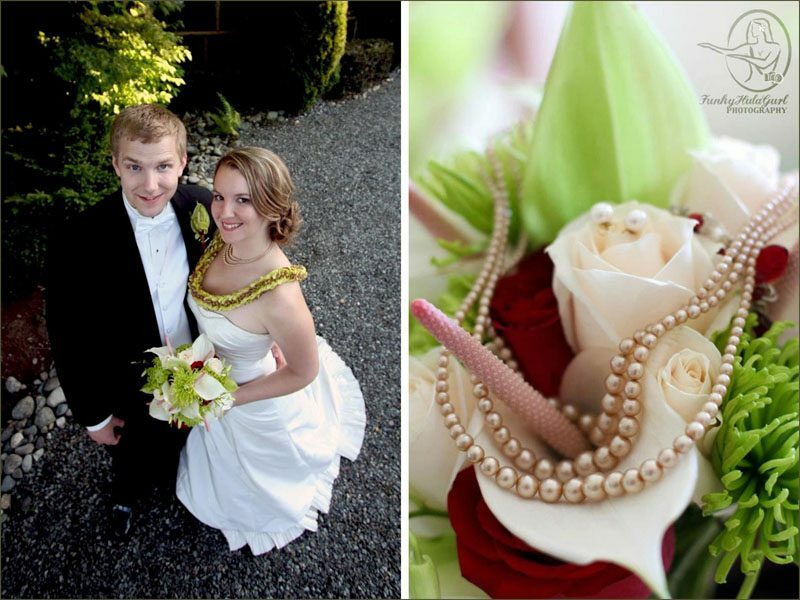 Photos by Luba Wold | www.photographybyluba.com. 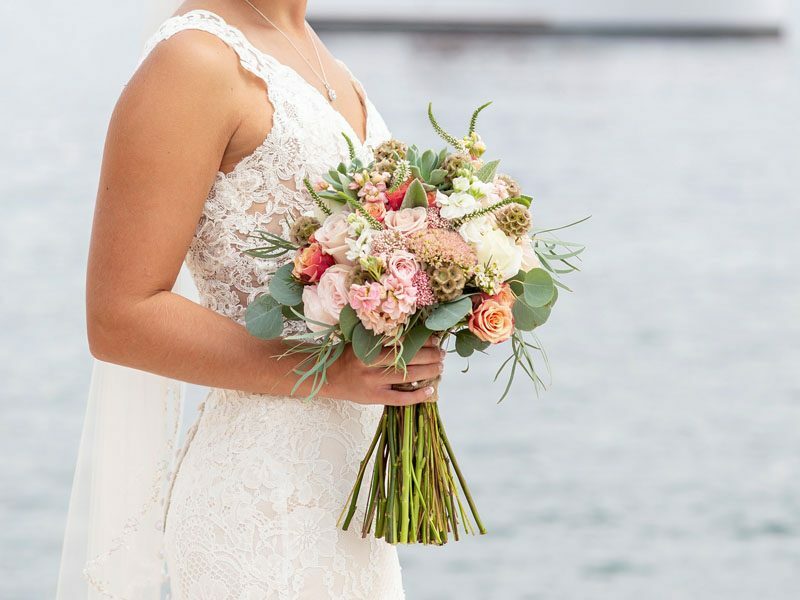 Beautiful bridal bouquet with burgundy and blush peonies, blush roses, blush spray roses, astrantia major, wax flower, and eucalyptus. 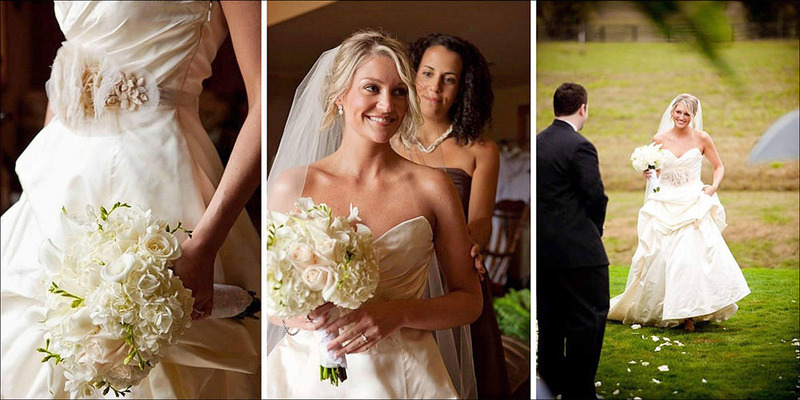 Photo by Luba Wold | www.photographybyluba.com. 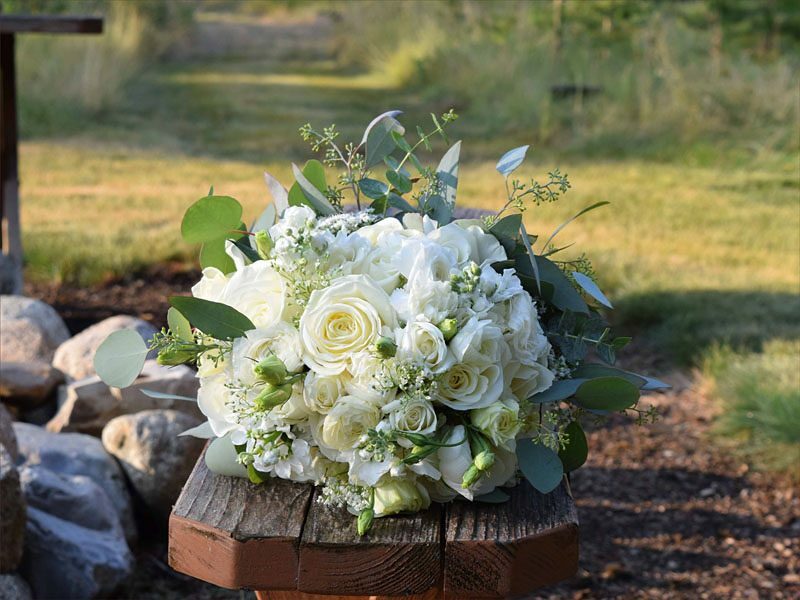 Soft and feminine wedding bouquet with white roses, white ranunculus, white lysianthus, white stock, baby’s breath, and eucalyptus. 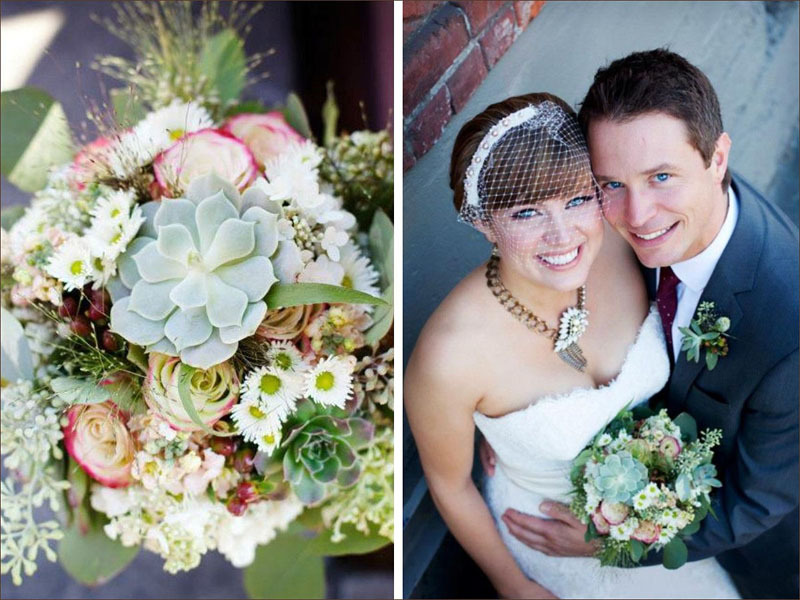 Late spring wedding bouquet with blush peonies, ocean song rose, Juliet garden rose, pink spray rose, succulents, lambs ear, organics, and eucalyptus. 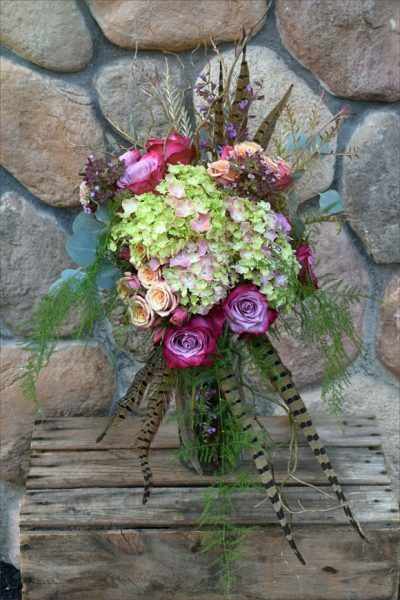 Dramatic cascading wedding bouquet with pheasant feathers, antique hydrangea, purple haze lavender rose, isle spray rose, sage and oregano blooms, plumosa, grevilla, silver dollar, and curly willow. 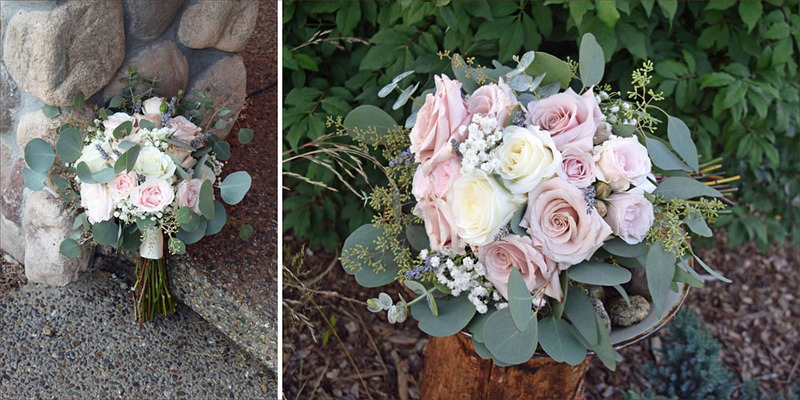 Soft blush bridal bouquet with quicksand and polar star rose, blush spray rose, baby’s breath, and eucalyptus. Fall farm photoshoot, The Hitchin Barn. 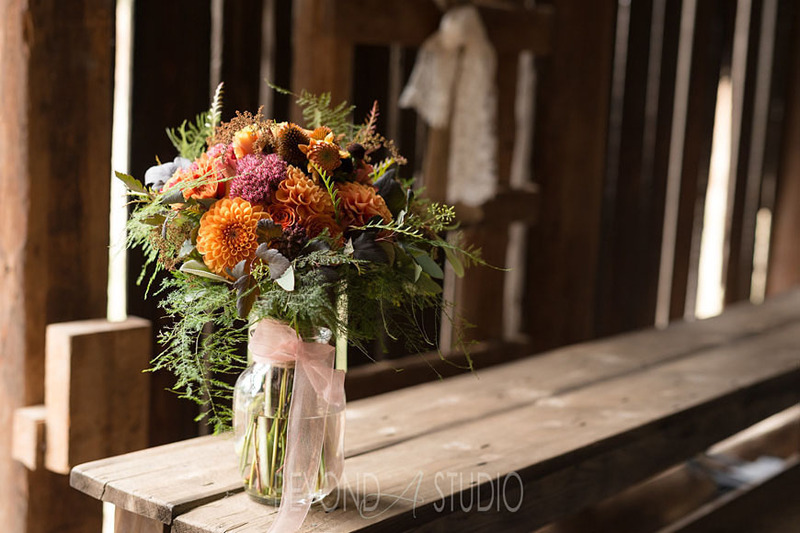 Bouquet with orange dahlias, autumn joy sedum, orange spray rose, Echinacea seed heads, seeded eucalyptus, plumosa, and grevillea foliage. Photo by Beyond A Studio | www.beyondastudio.com. 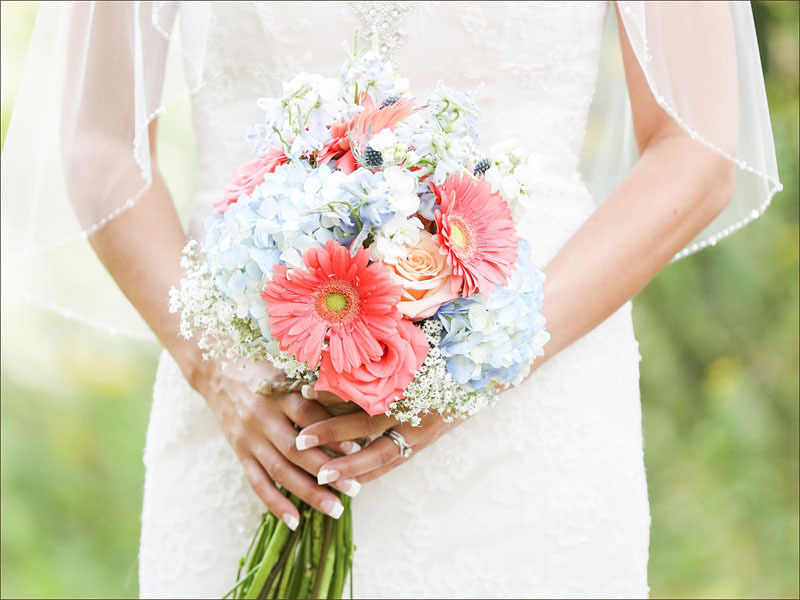 Striking wedding bouquet with blue hydrangea, coral gerbera daisy, peach rose, white stock, blue delphinium, and baby’s breath. 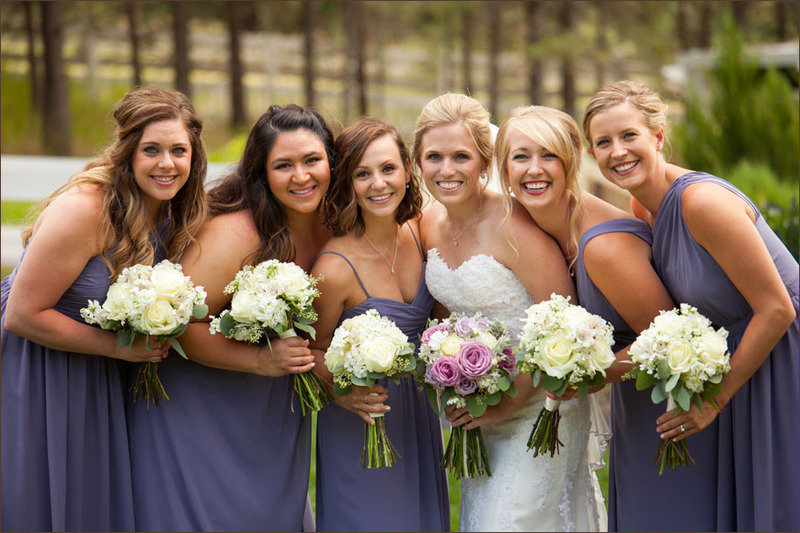 Photo by Rachel Dornquast | www.distinctionstudio.com. 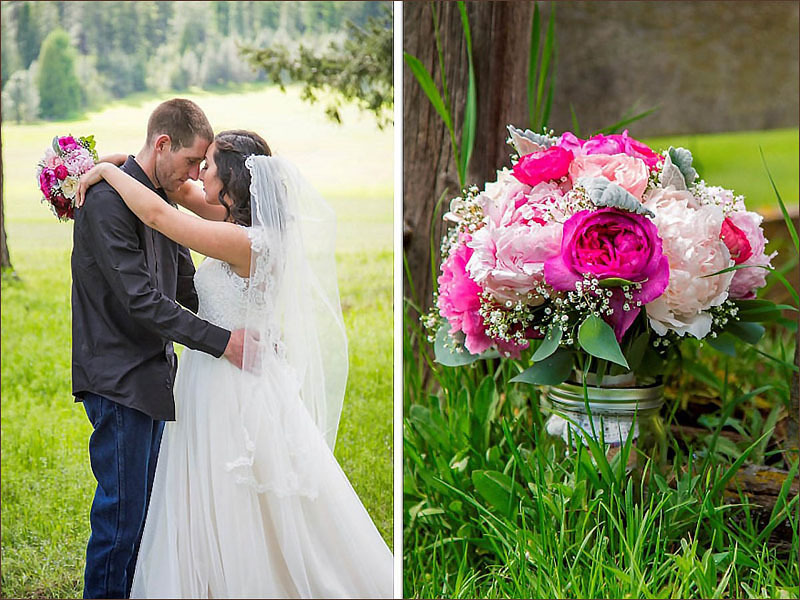 Country wedding on-top Mt Baldy, Sandpoint, Idaho. 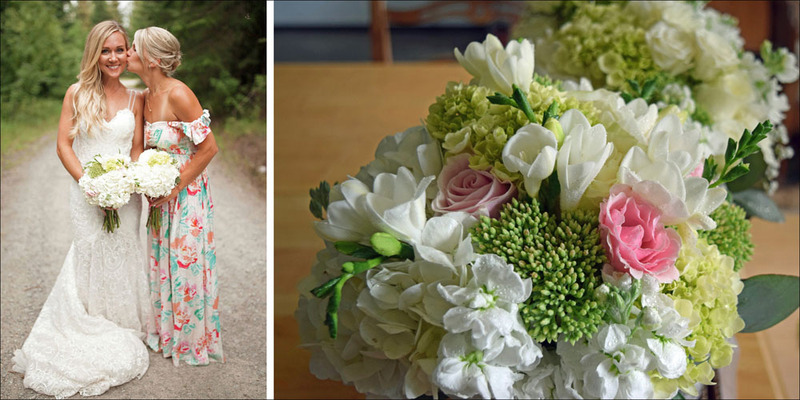 Wedding bouquet with white and green hydrangea, blush rose, pink majolica spray rose, white stock, green sedum, and white freesia. 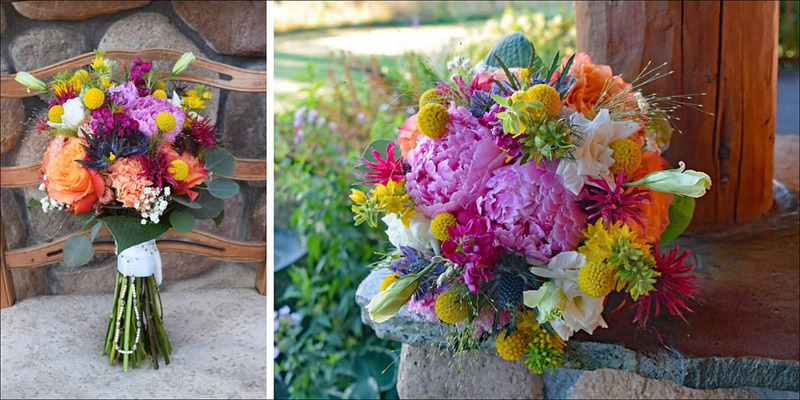 Bohemian style wedding bouquet with vendela rose, akito rose, majolica spray rose, white scabiosa, poppy seed heads, astilbee, and seeded eucalyptus. 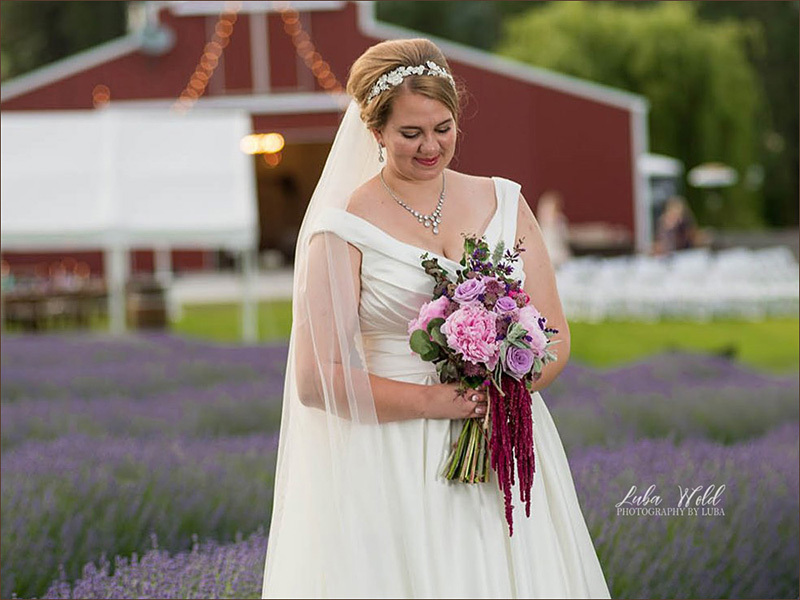 Garden style wedding bouquet with cream stock, vendela roses, blue misty, white lysianthus, purple cone flower and mum, pink alstromaria, and grasses. Round and full white and cream wedding bouquet with avalanche and vendela rose, white hydrangea, white callla lily, and white freesia. Photos by Chris Watkins | www.chriswatkins.com. 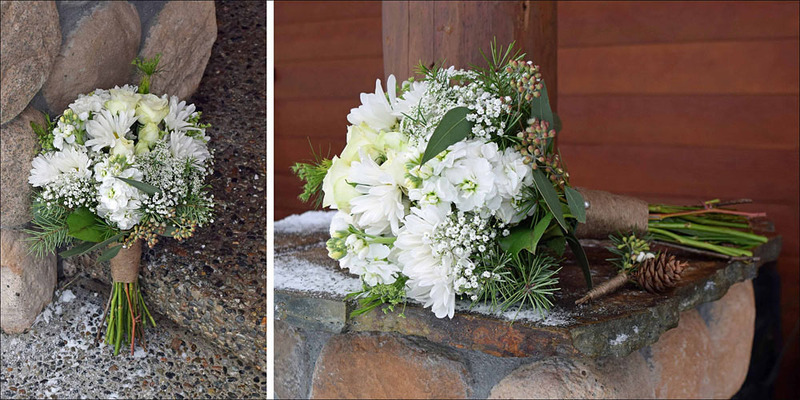 White winter wedding bouquet with white daisies, spray roses, white stock, baby’s breath, salal, evergreens, and seeded eucalyptus. 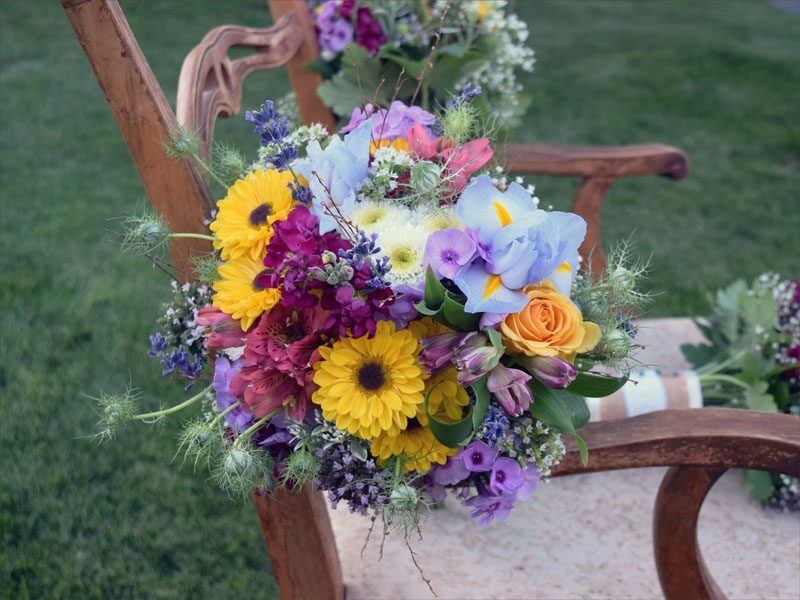 Bouquet handle wrapped in jute twine. 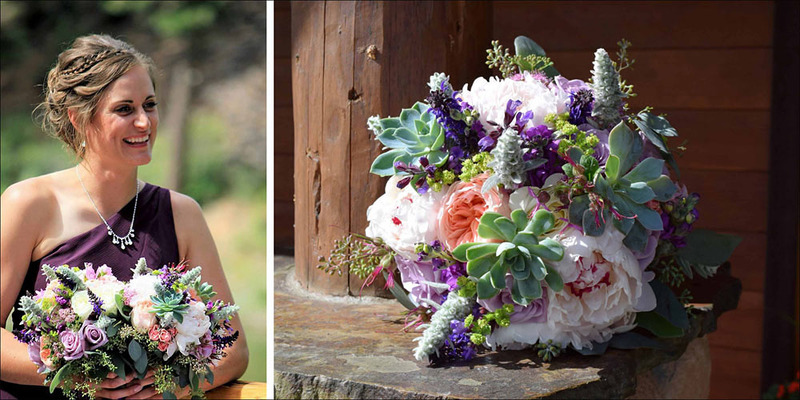 Mid-summer wedding bouquet with white and green hydrangea, vendela rose, white spray rose, green sedum, lavender, and lavender freesia. Cascading wedding bouquet with pink peony, ocean song rose, hot pink spray rose, lambs ear, astrantia major, hanging burgundy ameranthus, lavender, and sage. 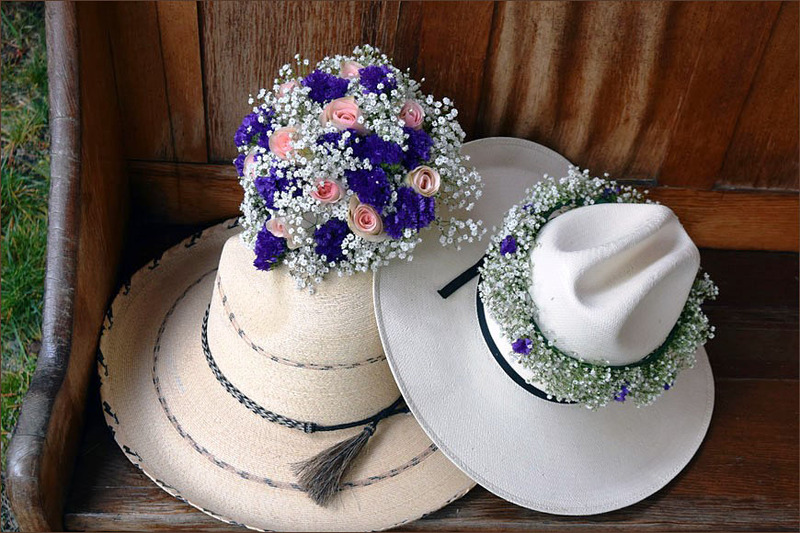 Photo by Luba Wold | www.photographybyluba.com. 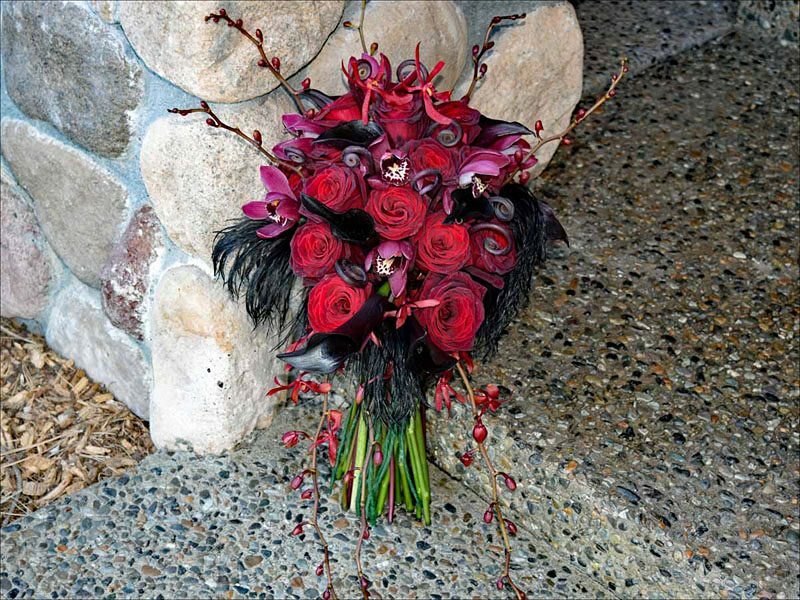 Beautiful wedding bouquet with black bacara rose, black calla lily, black fern fiddleheads, dark red dendrobium orchid, dark purple cymbidium orchid, red kangaroo paw, and black Ostrich feathers. 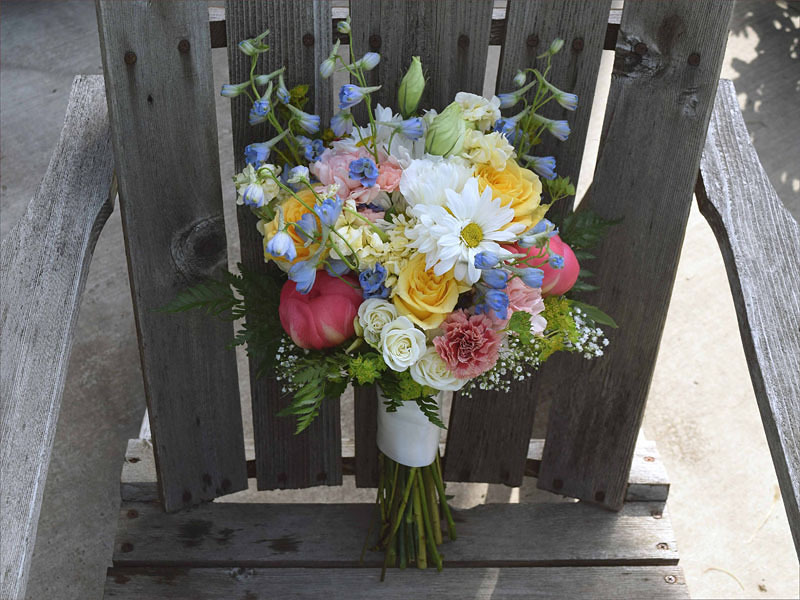 Spring wedding bouquet with coral charm peony, white daisy, yellow turtle rose, white spray rose, blush carnation, lysianthus, Bella Donna delphinium, baby’s breath, blupurium, and leather leaf. 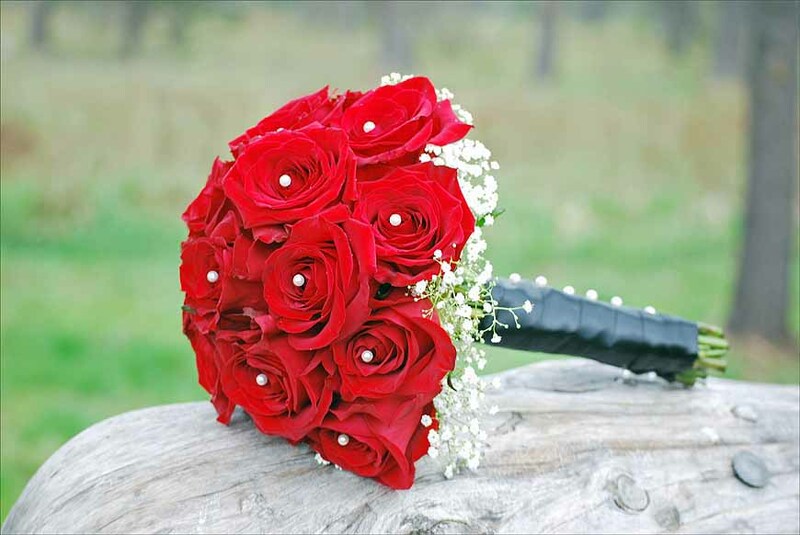 Wedding Bouquet with red freedom roses, white pearls, baby’s breath, and black ribbon. 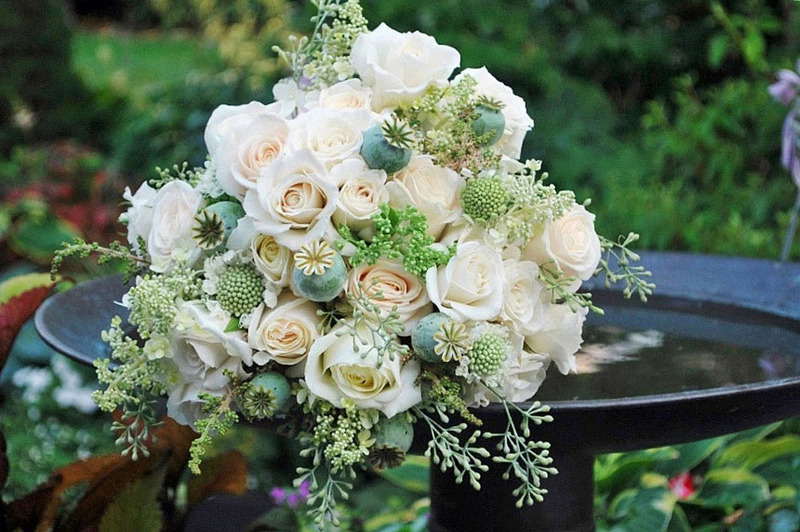 Soft pastel wedding bouquet with baby’s breath and pastel roses. 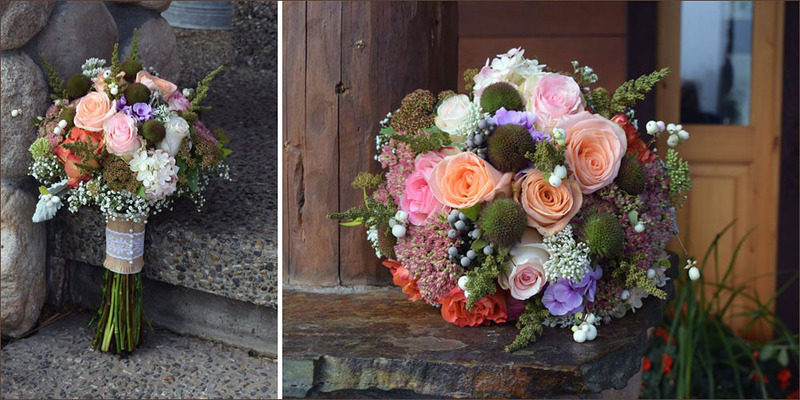 Colorful early fall wedding bouquet with autumn joy sedum, Tiffany rose, Sophia rose, free spirit rose, burunia balls, seed heads, hydrangea, sno-berry, and baby’s breath. 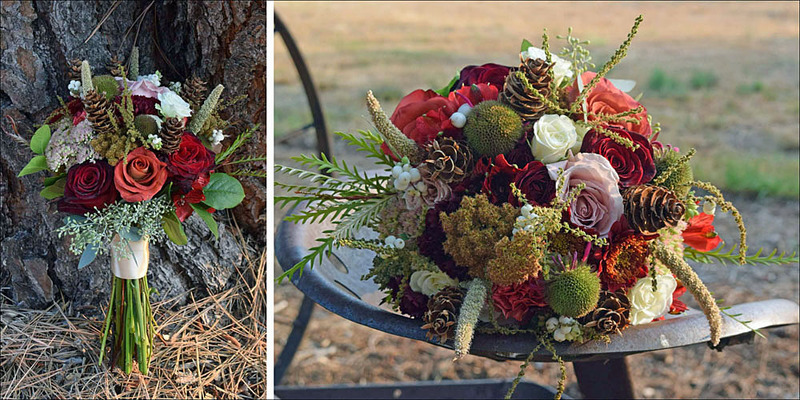 Dynamic winter wedding bouquet with pheasant feathers, vendela rose, isle spray rose, red freedom rose, red mini carnation, red hypericum berry, thistle, scabiosa pod, and eucalyptus. 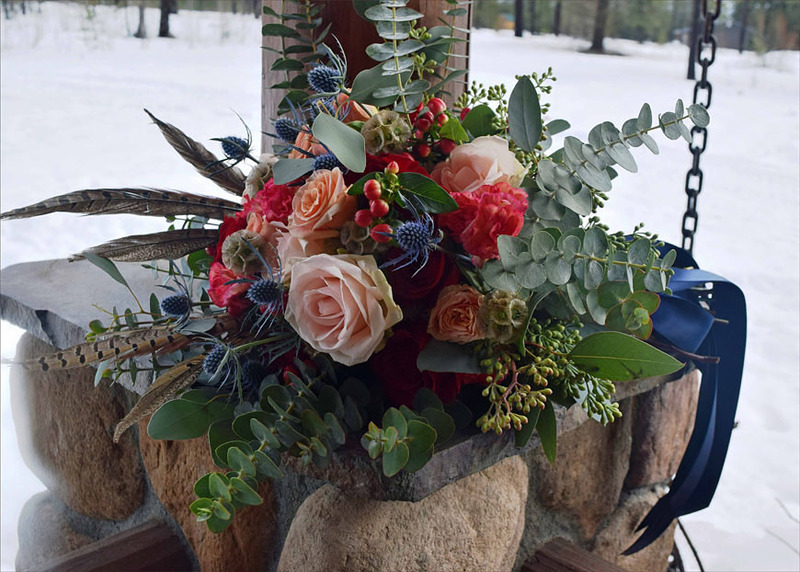 Bouquet finished with navy satin ribbon. 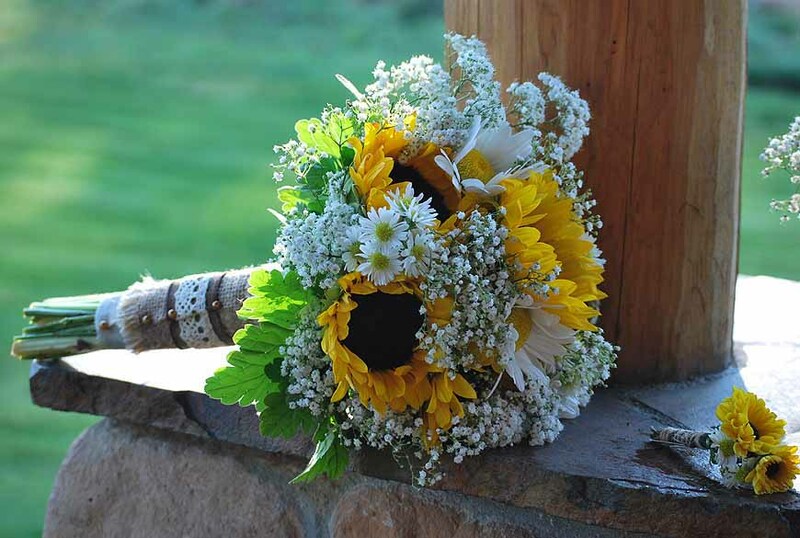 Late summer brides bouquet with sunflowers, white daisies, small white asters, baby’s breath and geranium leaves. 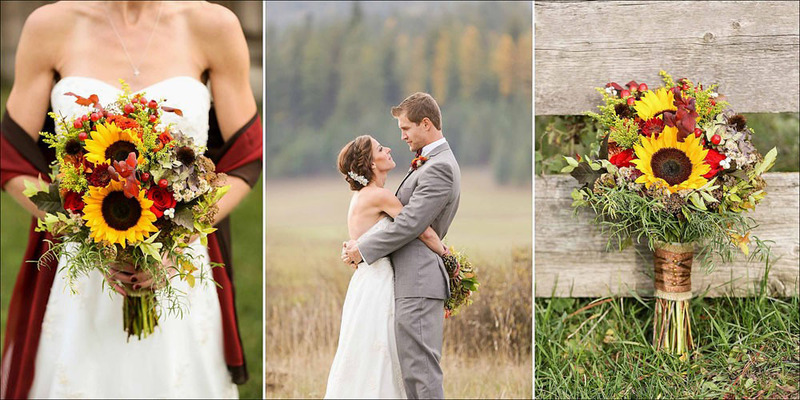 Sunflower Fall Wedding Bouquet at The Hitchin Barn, Blanchard, Idaho. 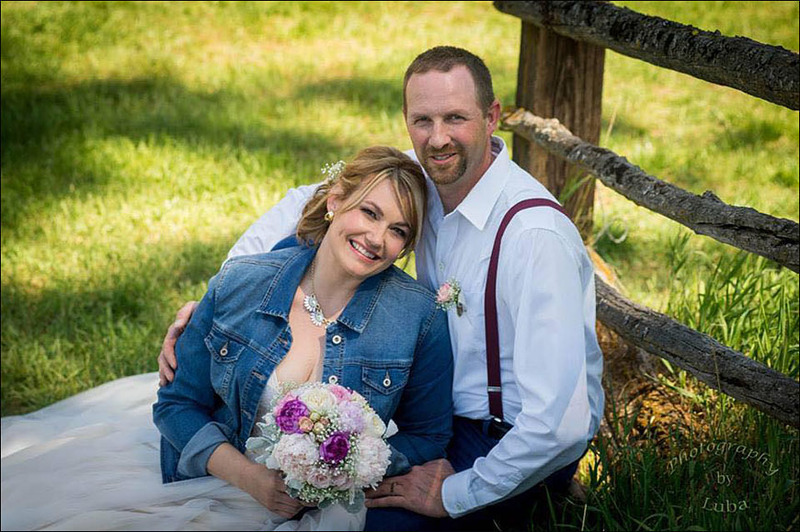 Photo by Rachel Dornquast | www.distinctionstudio.com. 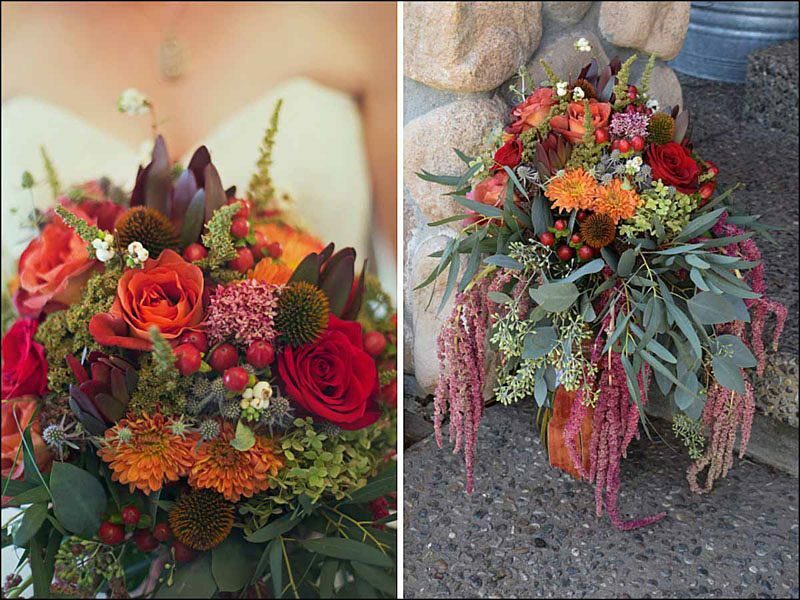 Fall wedding bouquet with orange coffee break rose, red freedom rose, small orange fall mum, red hypericum berry, antique hydrangea, snow berry, blue sea holly, seed heads, leucadendron, hanging ameranthus, and eucalyptus. Photo by Heather Biggs | www.heatherbiggsphotography.com. 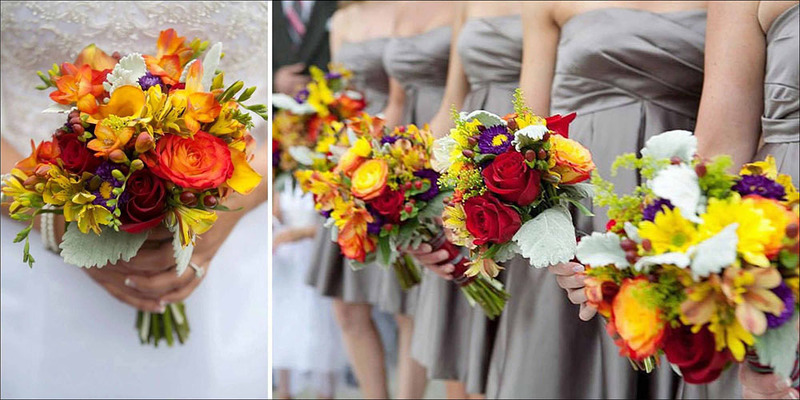 Mid-summer bridal bouquets with red freedom and circus rose, salidago, red hypericum berry, orange freesia, orange and yellow alstromeria, purple matsumoto and dusty miller. 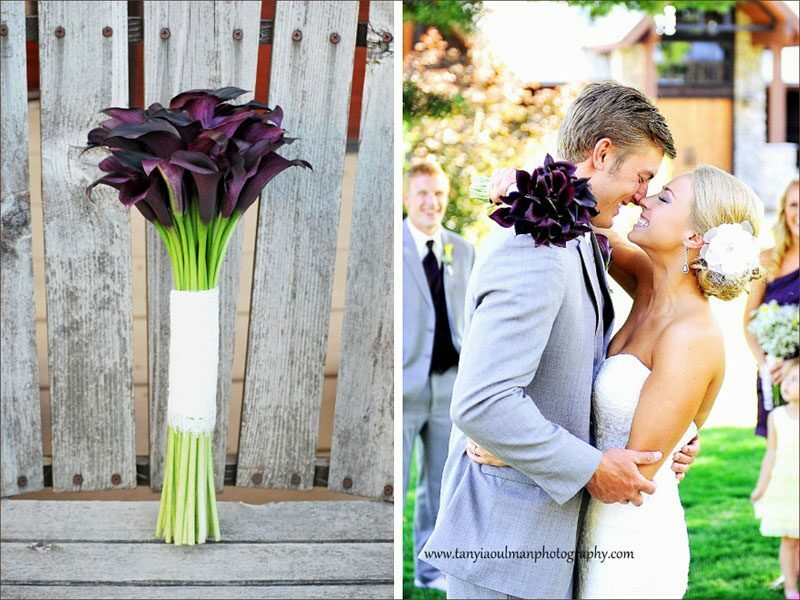 Sweet wedding bouquet with vendela roses, white and purple alstromaria, baby’s breath, leather leaf, and variegated pittosorum. 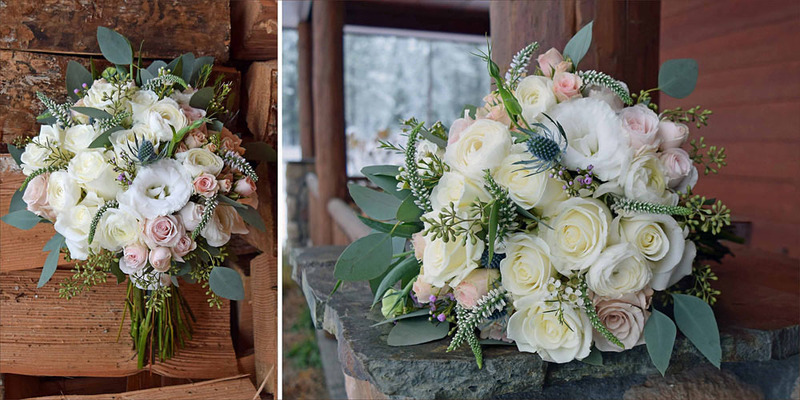 Woodsy fall wedding bouquet with grasses, cones, and seed pods, bacara rose, coffee break rose, quicksand rose, white spray roses, fall mum, snow berry, salal, and seeded eucalyptus. .
Bible embellished with flowers and ribbon to carry down the aisle. 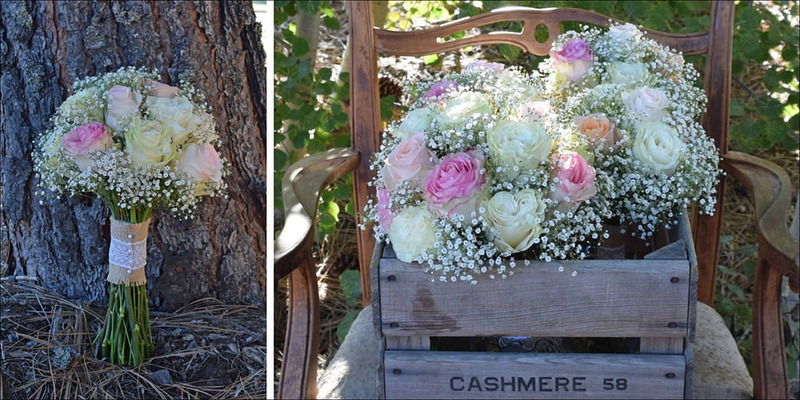 Flowers include clouds of babys breath, peach stock, and ivory spray rose. 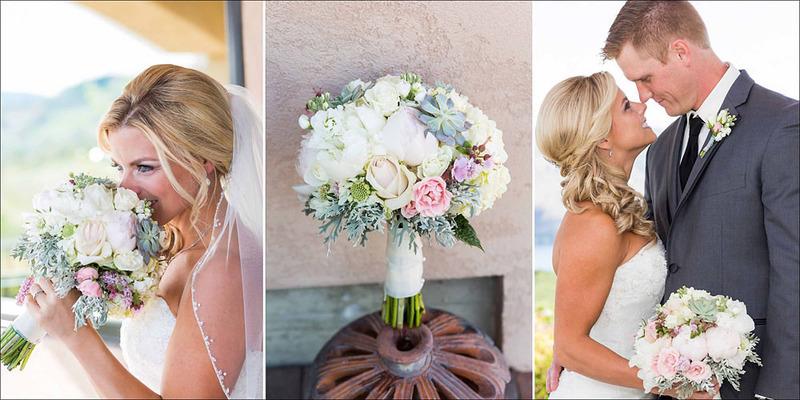 Soft wedding bouquet with blush peonies, medium and light pink garden roses, baby’s breath, and dusty miller. 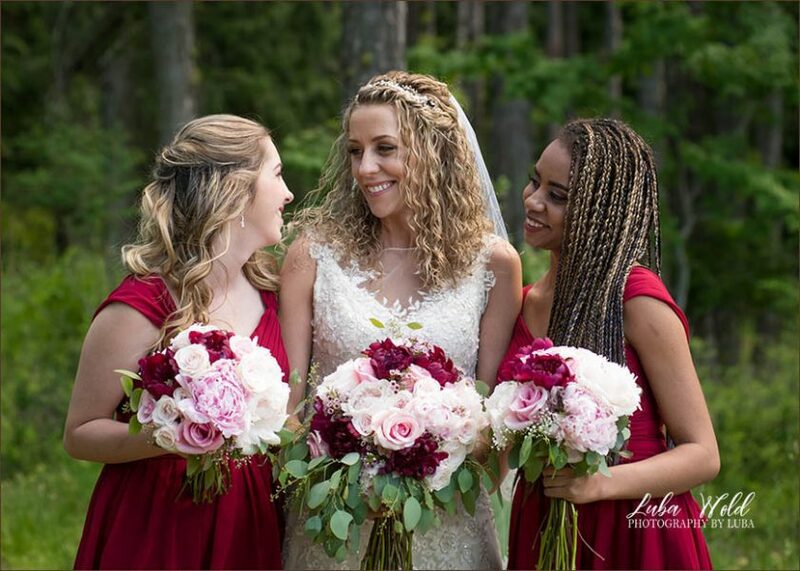 Photo by Luba Wold | www.photographybyluba.com. 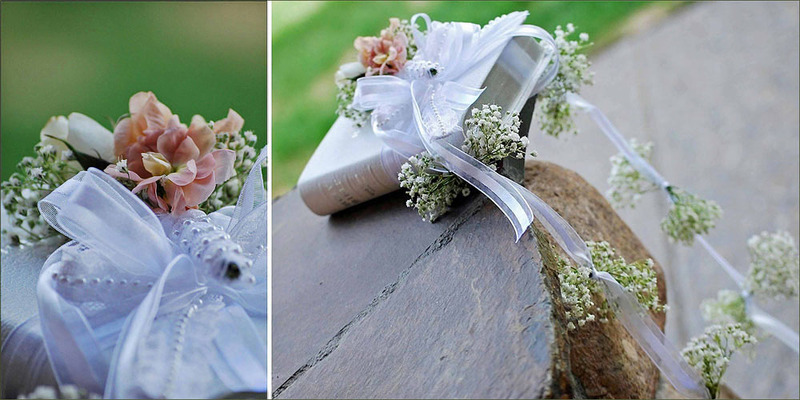 Simple country wedding bouquet and flower crown with baby’s breath, pink rose, and purple statice. 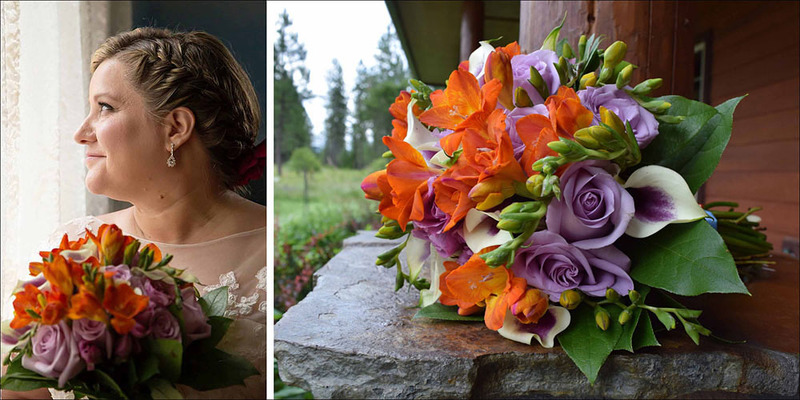 Orange and purple wedding bouquet with Picasso calla lily, ocean song rose, orange freesia, and salal.